Evergreen, height 25cm, spread 35cm. A superb variety with ever changing seasonal moods! 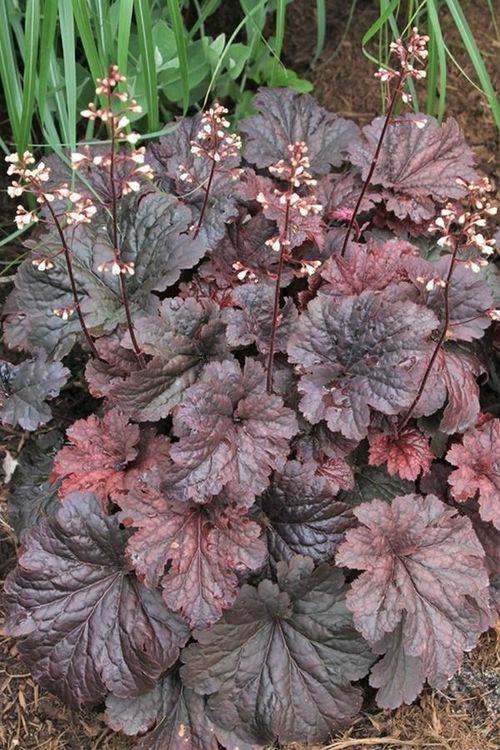 The first flush of growth in the spring is a fiery red, maturing to a sultry black velvet before turning a reddish cinnamon purple in the autumn. This is one variety that not only prefers sunny conditions but thrives, giving the best colour as a result. Small white flowers emerge early summer.